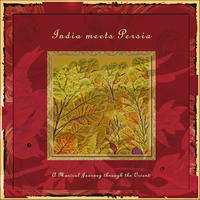 Simone Angele and Amir Kalhor: Classical styles of india and persia and oriental fusion. 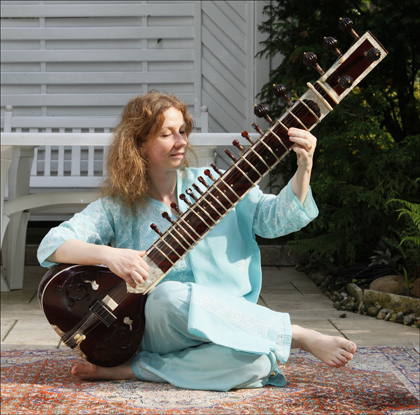 Simone Angele (Sitar) grew up in a musical family and became interested in different musical styles at an early age. After completing college she spent nearly a decade in Varanasi, India's capital of classical music. There she studied classical Indian Sitar and vocal styles under the guidance of Narendra Mishra, disciple of Indian Sitar virtuoso Vilayat Khan. She now lives in Berlin and enjoys working with musicians from around the world. Amir Kalhor (Taar) was born in Teheran, Iran. At the age of seven, he began playing recorder at a Teheran music school that used the Orff Approach. 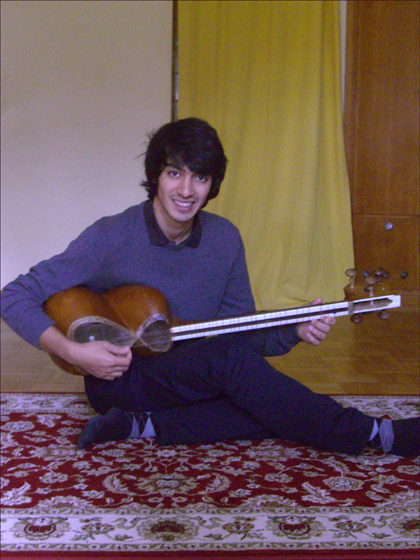 After a year he chose Taar as his main instrument. He studied Persian Classical repertoire, and vocal and instrumental Radifs under the supervision of maestros Mohammad Reza Lotfi, Arshad Tahmasebi and Mohammad Reza Ebrahimi. At the moment he divides his time between Dresden and Leipzig, working with various artists on classical (Persian) and world-music projects. 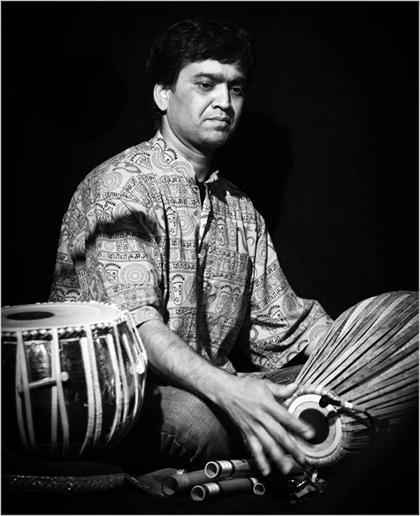 Babua Pahari (Tabla) comes from a musical family in Calcutta. He plays Bansuri (Indian Classical flute) and Tabla and has lived in Berlin since 2004, playing in "Back to India" and other Indian fusion bands. Simone Angele and Amir Kalhor lives in Berlin, Germany. Tagged as: World, Indian, World Influenced.